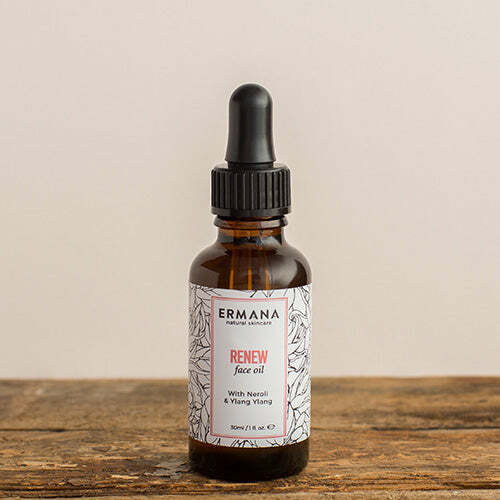 Spoil someone special with Ermana’s Renew gift set. This gift set is perfect for all skin types but is particularly beneficial to those with sensitive, mature skin. Neroli is obtained from the flowers of the Bitter or Seville orange and takes its name from an Italian princess who used it as her favourite perfume. It is works incredibly well in skincare as it stimulates the growth of healthy new cells therefore can rejuvenate the skin. It works well on all skin types but most effective on dry or sensitive skin. Neroli oil can also help to fade scars and other skin marks. Ylang Ylang oil comes from a small tropical tree which grows in the Philipines, Java, Sumatra and Madagascar. It is our favourite oil at Ermana due to its lovely delicate floral fragrance and its many properties. It was originally used in medicine as an antidepressant due to its uplifting effect on mood. It is extremely effective in maintaining moisture and oil balance of the skin and keeps the skin looking hydrated, smooth, and young. So it works to balance both the body and the mind. 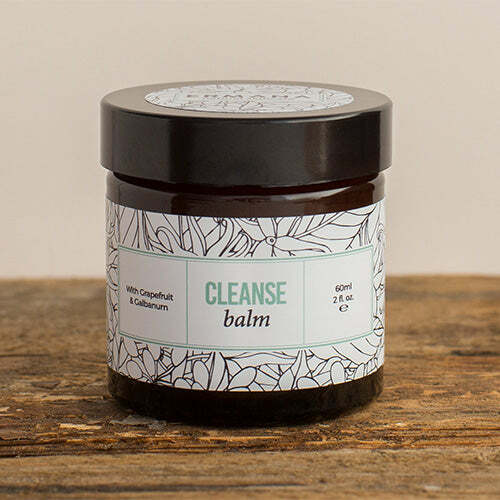 Our Cleanse balm is a rich blend of natural butters which soothe and hydrate the skin. Made from cocoa, Shea and coconut butters. Hand Blended with sweet almond oil and beeswax and infused with grapefruit and galbanum pure essential oils which help restore and tone the skin.